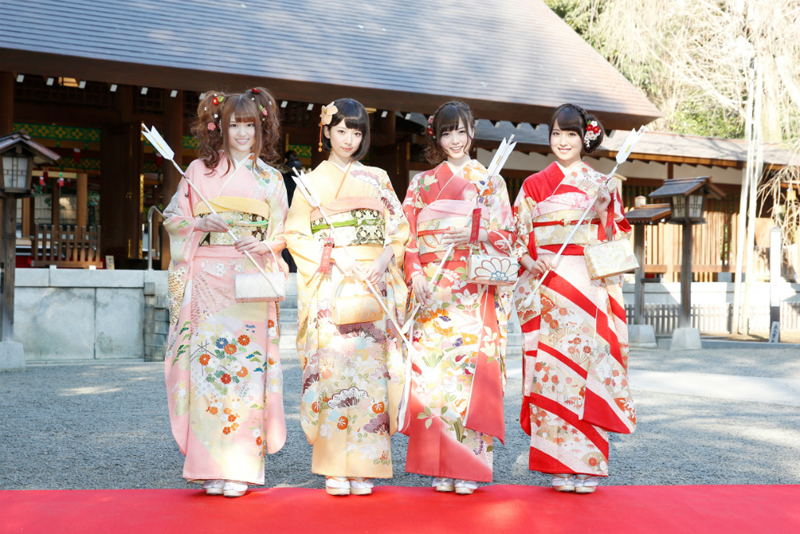 Members of Nogizaka 46 during their Coming of Age Day. Idol of the Day: MUTOU TOMU - 武藤十夢 from AKB48 dressed as a miko (shrine maiden). Cosplayer of the Day: Yu as Vocaloid Luka Megurine working at 全家FamilyMart. Would you shop with her?